Two of the compositions introduced on 'Brubeck plays Brubeck' are now recognized as jazz standards: They have been recorded and performed many times by many different artists, most notably by Miles Davis with Gil Evans' orchestral arrangements and by Bill Evans solo piano. My publisher has informed me that at last count there were over 60 different versions of 'In Your Own Sweet Way' recorded by various jazz artists. 'The Duke,' which might be the first jazz composition to have the bass line go through all 12 notes of the musical scale in the first 8 bars, has been a challenge for many musicians. My original title for the piece was 'The Duke Meets Darius Milhaud'. Dave Brubeck writes in his supplementary 1998 note for the CD release of 'Brubeck plays Brubeck'. 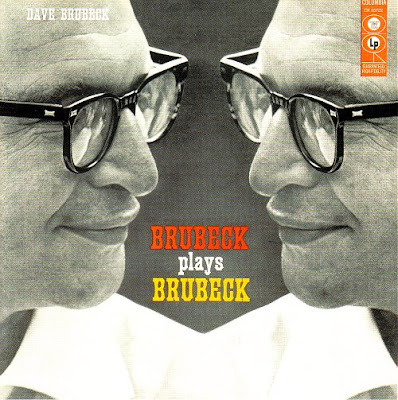 Dave Brubeck was a pupil of Darius Milhaud, as were Philip Glass, Steve Reich and Karlheinz Stockhausen. They all put in an appearance in On the path of Stockhausen's teachers. Another interesting Duke path is an album Duke Ellington recorded in Canada, originally released on Decca, and re-issued on CD in limited run, called North of the Border. It’s the only time Duke Ellington recorded a full disc of music that did not include anything by himself or Billy Strayhorn. The masters of this session reside at the Canadian Music Centre in Toronto. There are also a number of out-takes and rehearsals for this session that are quite fascinating. I had them in my possession for awhile, as a loan from the CMC, with the possibility of issuing them. Alas, I could not, but they are crying out for someone to issue the whole kit and caboodle.